Peugeot presentará un concept car "dinamico y autentico"
- Making its European debut, the Aircross concept car, sporting a body style with an international calling, illustrates the upmarket potential of the Brand’s new positioning. - A comprehensive line-up of connected services with CITROËN Connect, which has been enhanced with new features. 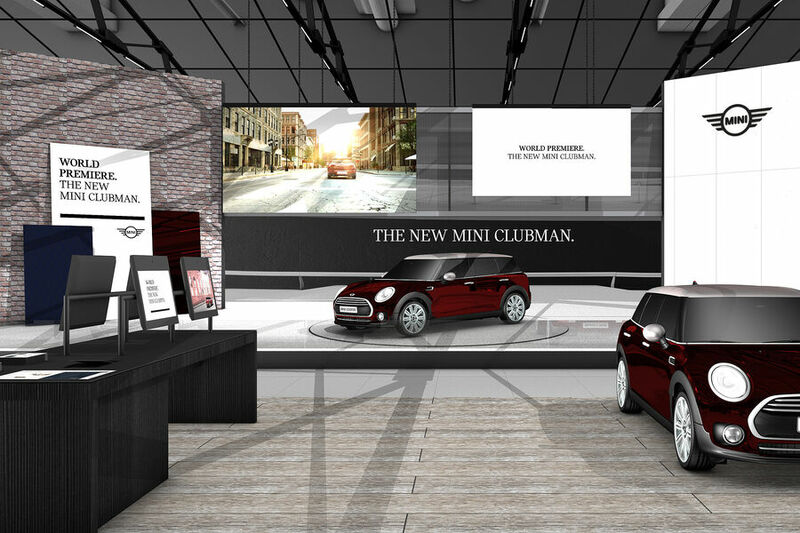 *A 360° CUSTOMER EXPERIENCE, notably in the range of services on offer, such as CITROËN Service Racing and the commitments made with CITROËN & YOU. The aim is to forge a seamless and personalised customer experience for more trust and peace of mind. 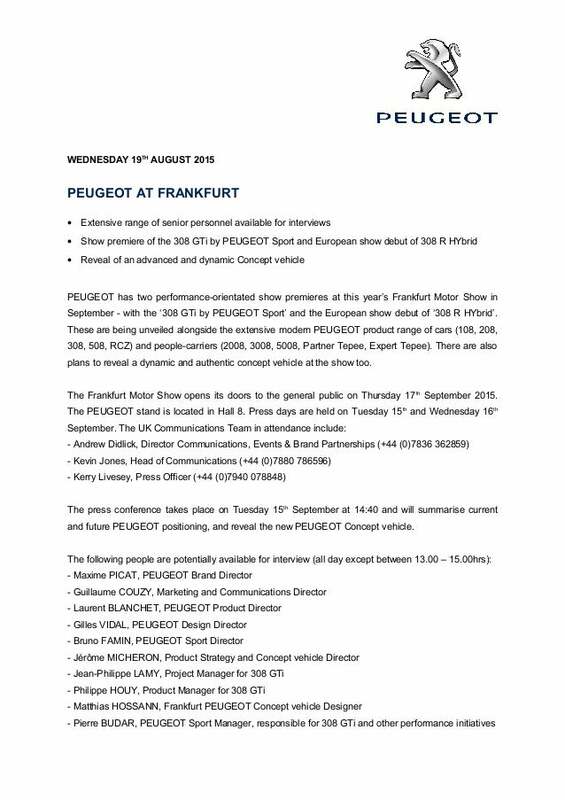 The Frankfurt Motor Show will open its doors to the general public on Thursday 17 September 2015. The CITROËN stand will be located in Hall 8. The press days will be held on Tuesday 15 and Wednesday 16 September. 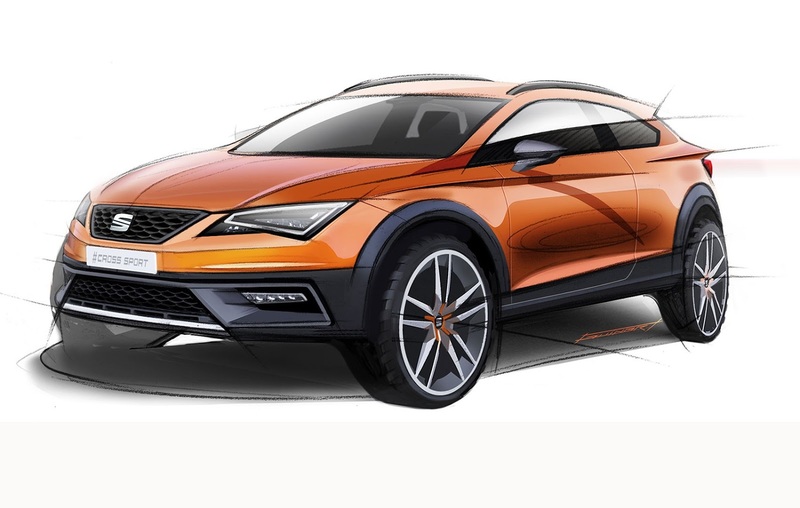 Brussels, Belgium - The 2015 Frankfurt Motor Show will showcase the European Premiere of the fourth generation RX. As the best-selling model in the brand’s 26-year history—with sales of circa 2.2 million units—the RX represents three out of ten vehicles ever sold by Lexus. The all-new RX’s mix of sharp creases and curves represents a bold evolution in the model’s styling, sharing the same design DNA with other recently-launched models in the Lexus line-up. The RX interior reflects an impeccable balance of functionality and luxury. The redesigned interior offers a sense of spaciousness with intimacy that proves ideal for driver and passenger comfort alike. Moreover, the RX is equipped with advanced redesigned hybrid and petrol powertrains, sophisticated safety technologies/driver aids that include the innovative Lexus Safety System+, and new convenience and technology features to make this the best Lexus sport-utility vehicle offering to date. An important addition to the GS line-up, the GS 200t, will also make its European premiere. The new-comer is equipped with a smooth 2.0l turbo petrol engine teamed with an eight-speed automatic transmission. Also new on the GS range, is the redesigned front end with standard Bi-LED headlamps. Finally, new bespoke, stylish design features will underline the sporty character of the CT and IS. This is thanks to a new accessible Sport grade, available in Europe as from September and on display during the show. The Lexus Press Conference will take place on September 15, at 13:00 at the Lexus stand in Hall 8 Stand C19. The 2015 Frankfurt Motor Show will witness the global premiere of ‘Honda Project 2&4’. A winner of the global design competition run by Honda between its global design studios, Honda Project 2&4 represents the company’s drive to inspire and reward creative thinking. Embodying Honda’s concept of ‘creative craftsmanship’, Honda Project 2&4 was designed together by Honda’s motorcycle design centre in Asaka and by Honda’s automobile design centre in Wako, Japan. The Honda Project 2&4 is the result of the company’s continuous effort to create a more exciting user experience. Honda Project 2&4’s cabin-less structure produces an immersive driving environment combining the experience Honda has in providing the freedom of a motorcycle and the manoeuvrability of a car. One of the best selling SUVs in the world, 2015 has seen Honda’s CR-V refreshed for the European market with a new diesel engine and nine-speed automatic transmission, as well as world-first technologies to enhance occupant safety. The new Civic Type R is Honda’s race car for the road and represents Honda’s racing spirit and commitment to delivering class-leading performance through creative engineering. The British-built model, which debuted earlier this year at the Geneva Motor Show, is powered by an all-new 2.0 litre VTEC TURBO engine and is the most extreme model ever to wear the legendary red badge of a Type R. With unmatched performance in the European front-wheel drive hot hatch segment, the Civic Type R’s peak power output is 310 PS at 6,500 rpm. Coupled with unique aerodynamics, the Type R can power to a top speed of 270 km/h. During 2015 Frankfurt Motor Show, Honda will demonstrate its personal mobility device, UNI-CUB ?. The device features balance control technology and an omni-directional driving wheel system (Honda Omni Traction Drive System) which originated from Honda’s pioneering research into humanoid robots, represented by the research and development of the world’s most advanced humanoid robot, ASIMO. Audi presentará su Audi quattro e-tron Concept, un coche totalmente eléctrico, en el salón del automóvil de Frankfurt que se celebrará en septiembre. El Audi eléctrico contará con lo último en tecnología de baterías y aerodinámica para lograr una autonomía de más de 500 kilómetros. El quattro e-tron concept está concebido desde cero como coche con propulsión eléctrica. El deportivo sigue el concepto Aerosthetics de Audi en el que aerodinámica y estética combinan creativas soluciones de diseño con medidas técnicas para reducir la resistencia del viento. La batería de iones de litio se coloca entre los dos ejes por debajo del habitáculo, lo que asegura un centro de gravedad muy bajo y un equilibrado reparto de pesos para optimizar la dinámica de conducción y la seguridad de marcha. La empresa alemana Audi no es la única que apuesta por los motores eléctricos porque Renault presentó el nuevo motor eléctrico R240 para su Renault ZOE. Renault and Dacia look forward to meeting the media on September 15 and 16 at the Frankfurt Motor Show. The programme of events includes new product launches, a press conference and talks with Groupe Renault senior executives. - Carlos Ghosn will unveil the New Renault Mégane in a world premiere. - Following on from this summer’s reveal of the Renault Talisman, the saloon and estate variants of the car will go on display to the public. - The media and public will also have the opportunity to discover the new Espace and the Kadjar. - Introduction of Easy-R automated manual transmission, a two-pedal solution for the Logan, Logan MCV, Sandero and Sandero Stepway – a first for Dacia. - The Duster Edition 2016: new equipment and styling changes. Audi is once again displaying bold exhibition architecture at the IAA International Motor Show. In place of a traditional convention booth, a multimedia experience space invites visitors to discover Audi’s four key themes at the IAA 2015 with all of their senses: Audi Sport, quattro, Audi Technologies and Audi ultra. The company is therefore constructing a temporary building at the Frankfurt exhibition grounds. Placing the latest edition of Audi’s bestselling model in its center, the architectural showcase will provide spectacular staging for the new Audi A4. “We've never developed an exhibition presentation that was as thematically stringent as this one. Never before have we been able to describe the innovations from Audi in such great detail. At the 2015 IAA we will be offering our visitors more of an experience than ever before. This is a unique combination,” says Luca de Meo, Board Member for Sales and Marketing at AUDI AG. The entrance to the Audi building is the starting point for the so‑called “experience walk”, a corridor encircling the car exhibition in the building's interior. The roughly 100‑meter (328.1 ft) course leads visitors through Audi’s four key themes at this year’s IAA: the motorsport genetics of the Audi Sport subbrand, the portfolio of innovations under the title “Audi Technologies” ranging from the Audi virtual cockpit to laser light, the efficient technologies of Audi ultra and the quattro all‑wheel‑drive success story. Innovative presentation formats in the experience walk appeal to all senses, from the quattro ice room at 21 degrees below zero Celsius to a holographic window that uses augmented reality to connect digital information about the Audi technologies with the physical automobiles on display. The new Audi A4 introduces many of the presented technology highlights to its segment. It stands in the focal point as the experience walk leads to the car display. The bestseller from Audi is positioned at the center of the building on a rotating platform that is part of an oversize compass. As soon as the compass turns to one of the four cardinal directions, the entire media display of the exhibit switches between the four thematic worlds of Audi. Another look into the future provides the Audi e‑tron quattro concept. Visitors will be able to experience it for the first time in the Audi building at the IAA. The sporty SUV provides an outlook on the brand’s first large‑series electric car. Audi’s temporary three-story structure at this year’s IAA is constructed on an area of 70 by 55 meters (229.7 by 180.4 ft) on the central Agora square of the exhibition grounds. Construction work began already in mid‑July; in all, more than 200 kilometers (124.3 mi) of cable will be laid and nearly 700 square meters (7,534.7 sq ft) of LED surface installed. 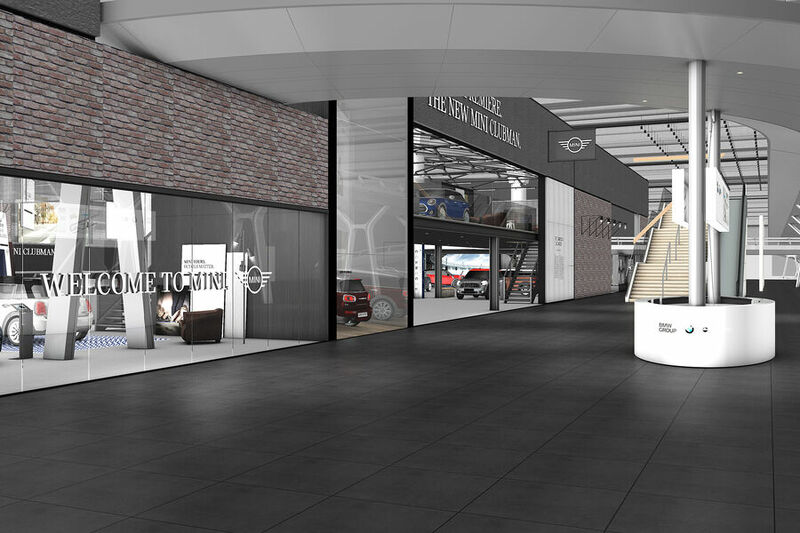 The exhibition area inside the building will offer space for 33 automobiles. AUDI AG has been working together with Schmidhuber+Partner GbR and Mutabor Design GmbH to develop and implement the concept for its IAA display. Audi was previously represented with its own brand buildings at both the 2011 and 2013 IAA Cars. The exhibition is held every two years. 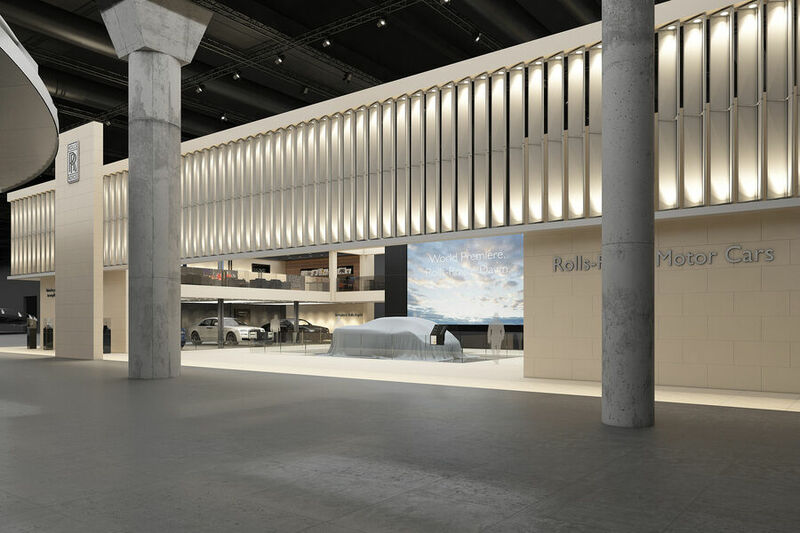 In 2013, the four rings welcomed more than 800,000 visitors at the IAA and received numerous coveted awards for its exhibition appearance, including the Golden Nail award from the Art Directors Club in Germany. 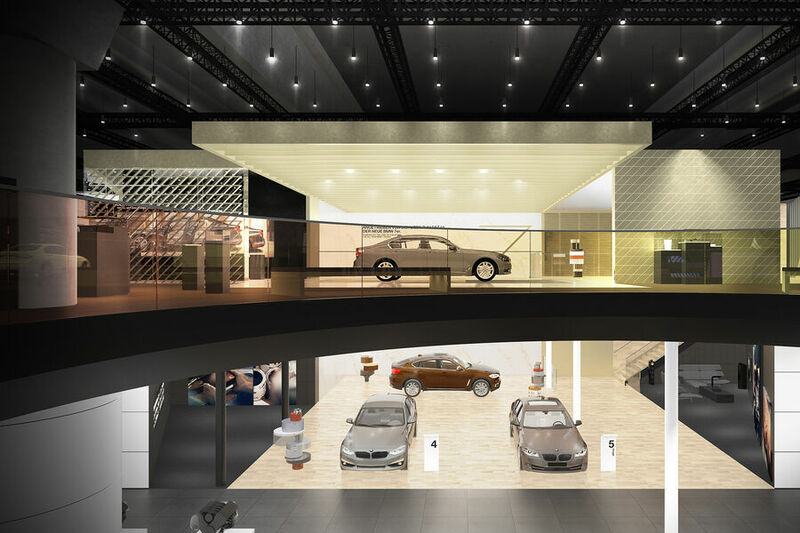 In 2015, the 66th International Motor Show will open its doors to visitors from September 19 to 27. Brussels, Belgium - At the forthcoming IAA motor show in Frankfurt (Press day September 15-16, Public days September 19-27th), two dominant themes will shape the Toyota stand. One is the relentless expansion of Toyota’s hybrid line-up. The other is the continuation of the roll-out and democratisation of the Toyota Safety Sense active safety technology. The unmistakable star of the Toyota display will be the new Prius, which celebrates its motor show World-Premiere at Frankfurt. But the show also marks the European Premiere of the new RAV4 Hybrid, and the global debut of the second TOYOTA C-HR Concept hybrid crossover. As Toyota continues the roll-out of Toyota Safety Sense across its range, the second iteration of the system premieres at Frankfurt, with Pedestrian Recognition and Adaptive Cruise Control being added to system’s existing features. The Toyota Press Conference takes place at 12:45 on Tuesday September 15th, on the Toyota stand in Hall 8. Leyendo la nota de prensa de Peugeot da a entender que el 308 R Hybrid es el concept, nada del modelo de producción como comentaban algunos medios. "and the European show debut of 308 R Hybrid." Press information, photos and videos for all of Hyundai Motor’s news topics are accessible at the new Hyundai Motor Europe Newsroom at http://www.hyundai.news. SsangYong Motor Company, (CEO Johng-sik Choi; www.smotor.com/en) will introduce Tivoli diesel - the smart compact SUV, and two concept models based on the Tivoli platform, XLV-Air and XAV-Adventure at this year’s Frankfurt Motor Show. XAV-Adventure is the latest compact SUV concept from SsangYong, a reinterpretation of the company’s iconic Korando brand with a modern and masculine touch. Targeting active and young generations, XAV-Adventure offers maximum drivability and off-road capability as a compact authentic SUV.